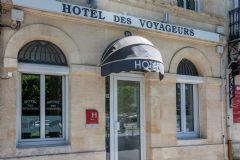 Constructing in the 1830's, the Hôtel des Voyageurs has been completely renovated over time. The welcome is friendly and the atmosphere warm. Reservation for D-day is possible on line till 7:00 pm. IN CASE OF ARRIVAL AFTER 10.00 PM, THANK YOU FOR PRECISING US BEFORE TO ORGANIZE YOUR CHECK-IN. Welcome to our reservation platform. You need to fill date of arrival, number of night and number of people staying in the fields below. The booking will be validated afterwards with credit card. Choosing "All" for the room type will give you the posibility to see every room available in our hotel. We would like to remember you that all our rooms are equipped with air-conditioning, TV, bathroom/WC, hair-dryer, steam iron and a daily cleaning service. Since July 2014 we are managing the Abélia hotel on a human scale, with 12 rooms to allow us to take care of our guests and offer a simple and friendly atmosphere. 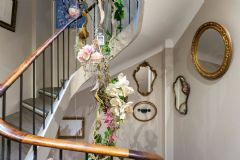 Charming, small hotel in a building dating back to the beginning of 1900. Unique “Neo-industrial” style and modern technology, whilst respecting traditions and its ancient history. 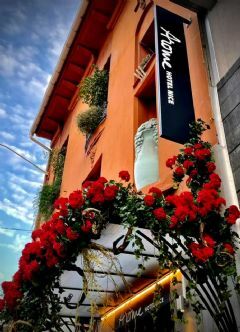 New concept combining the comfort of a refined hotel with the charm of a welcoming yet private place! We do not serve breakfast, however we offer complimentary coffee and tea facilities and a bottle of water on arrival. Important, the hotel has no lift and is entirely non-smoking. Our reception is open every day from 09H00 to 13h00, check in is possible from 14h00 to 18h00 and check out is at 11h00! If you plan to arrive after 18h00, we will send you all the instructions to access to your room! 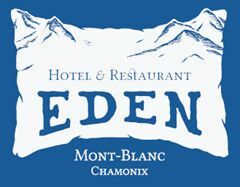 The Eden Hotel sits in Praz, a 2-minute drive from Chamonix Mont Blanc town centre and 100 metres from Flegere cable car. Each room has views of the Chamonix Valley or Mont Blanc. 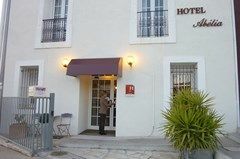 Hotel Le Coureau is located in Saint-Trojan-les-Bains, next to the port and the town centre. Each bedroom has an electric kettle, a desk and a private bathroom with a hairdryer. La Rochelle - Ile de Re Airport is 67 km away. Bienvenue dans notre hôtel!! Situé à moins de 20 mètres de la gare et moins de 10 mn du centre ville. Nous serons heureux de vous accueillir de 7h à 22h. 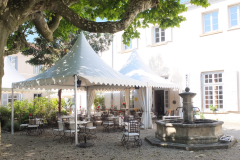 Welcome on the OFFICIAL RESERVATION WEBSITE of the Hotel and restaurant La Sauldraie : 33 254 971 776. By booking directly on the current Website, benefit of the best price guarantee. 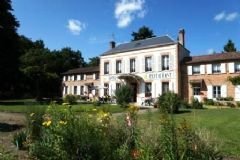 Ideally located in Sabris, the hotel "La Sauldraie" is the perfect place to stop whether for overnight or short stay to visit the area, with an easy acces from the motorway network. The restaurant is closed on sunday and monday, from October to May. In case of arrival after 8.00 p.m, please telephone to get the access code.